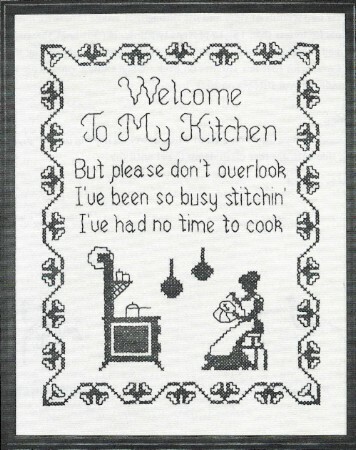 This cross stitch stamped sampler craft kit is a silhouette with young women stitching as she was preparing the meal.This printed cross stitch sampler is a reminder that a women's work is never done. Could it be that her tasks are so many and she needs time to relax? Sewing cross stitch stamped samplers can be mind soothing. Thanks so much for your ease of ordering, I received my purchase 3days later. The quality is very good and I'm sure enjoying stitching it. I plan on hanging it above my stove, front and center.